According to the National Highway Traffic Safety Administration, a reported 18 percent of all fatal auto accidents were caused by driver distraction in 2010. 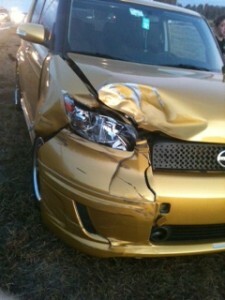 Distracted driving not only endangers the life of the driver, but the lives of others as well. The Virginia Tech Transportation Institute, as well as the National Highway Traffic Safety Administration reports that you are 23 times more likely to be involved in an auto accident if you are texting while driving. Distracted driving in any form is extremely unsafe. The triple threat of texting and driving is exceptionally dangerous, distracting the driver visually, manually, and cognitively. 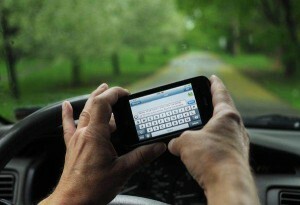 Laws restricting the use of handheld devices behind the wheel are currently being enforced in 39 states including D.C. In the state of Florida, the bill against texting and driving is only a signature away. The senate has already passed a bill that classifies texting and driving as a secondary offense. Distracted driving violations can cost from $30 or more with additional penalties for subsequent offenses. Efforts to discourage the use of handled devices while driving continue to rise thoughout the nation. The U.S. Department of Transportation is encouraging all states to legislate strict laws forbidding the use of cell phones while driving. Major cell phone and insurance companies have become part of the movement to raise awareness on this critical problem. The fight against texting and driving has also inspired the media as well as celebrities, to reach out to the community and reveal the dangers that exist in driving distracted. Blick Law Firm stands behind the message to not text and drive and continues in support of the cause. If you or a loved has been a victim of an accident involving distracted driving and you have questions concerning your rights, call Blick Law Firm today at (888) 973-2776 and schedule a free 15-minute consultation with attorney Michael Blickensderfer. Think quick, call Blick! This entry was posted in Blog, Personal Injury and tagged car accident lawyers, car crashes, consequences of texting while driving, florida laws, lawyers for car accidents, texting and driving laws. Bookmark the permalink.